Libra men and women are so exhilaratingly intelligent, and, at the same time, such pleasant optimists, that most people simply adore being around them. They can transform an entire ballroom from dingy to brilliant, just by smiling. They are mental pencil sharpeners, who stimulate your ideas and set your thoughts to briskly jogging in the fresh air of their logic. They can make raindrops seem like crystals and image ordinary soap bubbles in the bath or shower into a glorious montage of make-believe pink balloons. But … speaking of balloons, did you ever try to punch a balloon? You get absolutely nowhere. The balloon merely slips away from you, however many times you punch and pummel it – still puffy and bright and airy, still floating. It’s enormously frustrating. In order to make any impression whatsoever on a balloon – if your wish is to deflate the poor thing for some mean, nasty reason – the only thing that will work is to be armed with a sharp, pointed pin or needle. 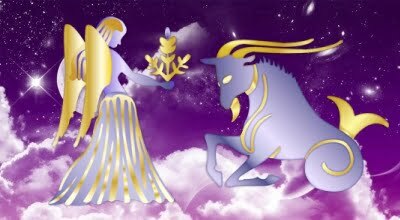 As gentle and courteous as they are by nature, Virgos are assuredly well armed with whole packages of sharp, pointed pins and needles – and nothing can so deflate the ballooning happiness and benevolent bubbles of a Libran more swiftly and more surely than the tiny pins and needles of Virgo’s correctional criticism. Pop! Then all that’s left is a small pink shred of rubber, sans all the air that made it so round and light and happy. It’s good for very little in that state. Just as Librans are good for very little for quite a spell after they’ve been subjected to an especially sharp barrage of Virgo realism. 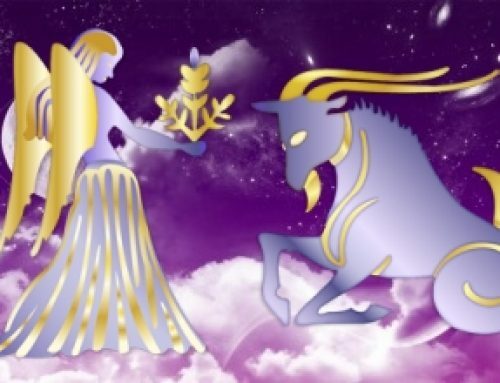 Because Libra is a Cardinal Sign and Virgo is a Mutable Sign, the Virgin will accept Libra’s logic, long discussions, and cheerful optimism for a long time before applying the pins and needles. The typical Virgo is a quiet, peaceful soul, who blooms and blossoms delightfully under the soft glow of Libra’s ruling planet, Venus. For a while, all will be smooth, serene, and mutually satisfying between these two. Nothing sensational perhaps, but on the other hand, nothing disturbing or upsetting. Just a nice balance of personalities, motives, and goals – and a neat, tidy harmony of purpose. 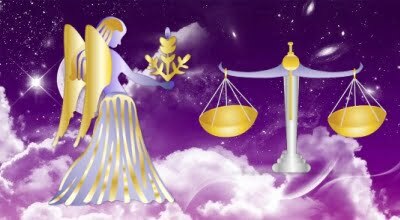 Libra likes everything to be even and lovely – Virgo likes everything to be the same. They’ll blissfully wander around the office, the home, the classroom, or the concert hall together, avoiding, for the most part, all the smokers and jokers, all the loud, uncouth people. They’ll straighten out each other’s sock drawers, dust off each other’s stalemates, polish each other’s hopes, smooth each other’s hair … exchange gifts of toothbrushes and Windex … and trade books back and forth. Their picture frames will hang symmetrically, they won’t raise their voices in shouting – and all will be melodious and marvelously mundane. 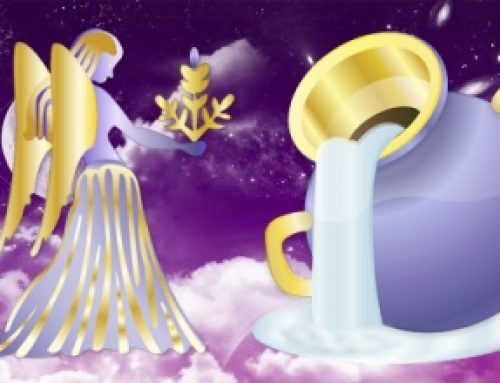 Gradually, Libra will begin to depend on Virgo to keep his or her Scales in the correct juxtaposition – and begin to lean more and more on the Virgin’s helpfulness. Since the average Virgo doesn’t really enjoy parties with lots of people and public functions where one is required to smile and make small talk when one doesn’t feel at all like smiling and making small talk – and since Libra usually does enjoy such festivities – it’s possible that the Libran will sort of float into the habit of having all the fun and expecting Virgo to assume the responsibility for the drab drudgery and dull duties of the association, whether it’s keeping the checkbook balanced … washing dishes … entertaining Aunt Mildred and Uncle Casper … baby-sitting … mowing the lawn … sorting out the birdseed, tacking the linoleum, fixing the washer (most Virgos have magic fingers, and are mechanical wizards), hosing off the front lawn … waxing the car . .. wiring the hen house … walking the horse … brushing the sheep dog tuning the organ – and all those gay and glorious things which don’t much appeal to Libra’s fastidious taste. Before long, there will be rumbles of the ominous type under the ground (Virgo is an Earth Sign). Not anything earthquaking, just a few tremors. Virgo will first explain patiently and politely to Libra that he (or she) was not cut out in the shape of a door mat, but in the shape of a perfectly normal human being. Virgo will then (still courteously) try to project to the smiling-pink-dimpled-bal-loon-with-rosy-ears that his (or her) cherished dream since childhood has not really been to become a valet, a maid, a chauffeur, a butler … or to achieve any career even remotely along these lines. Virgo has more varied ambitions than those of chimney sweep or caretaker. Libra will listen patiently and respectfully to the Virgo Bill of Rights, and after mulling over the pros and cons of it for a reasonable length of time, finally decide that Virgo’s complaints are justified, and that he (or she) has indeed not been treating the Virgin fairly. 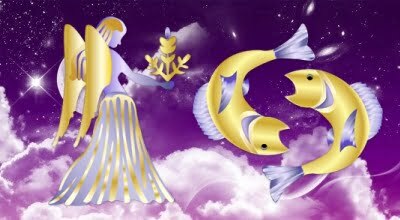 Then Libra will graciously offer to take over at least half the duties and responsibilities, leaving Virgo with a large gob of extra time in which to keep busy and bustling in whatever manner the Virgin chooses. It seems like the perfect solution, the ideal compromise. For a while. 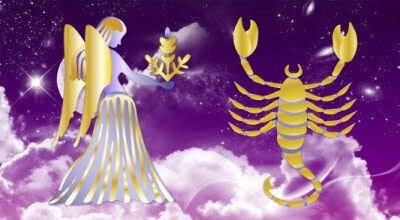 Most of the time, however, these Sun Sign friends, business associates, relatives, lovers, or mates will match up nicely. 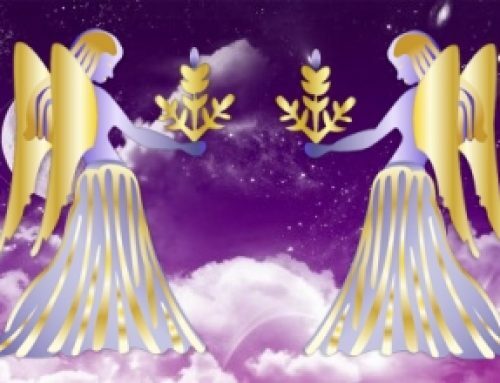 Influenced as they are by the 2-12 vibrational pattern, Virgo will more often respect Libra than find fault, sensing that Libra knows things that could make Life less chaotic. Libra does. Being ahead of Virgo on the karmic wheel, Libra can teach the Virgins by example the benefits of a more loose and open-minded attitude toward the discrepancies between the ideal and the attainable in both oneself and one’s fellow Earthlings, to develop a more casual charisma – and to realize that Life was meant to be enjoyed as well as to be card-indexed as to its failings. But Libra will shed this illumination in the direction of the Virgo friend or loved one with the strangely benevolent tolerance the sign ahead always feels, to some degree, for the sign behind – from having already passed through such spiritual experience (probably more than once). Taken as a whole, these two have a great deal in common, much more than they have at odds with one another. Libra approves of Virgo’s strict work ethic (in principle, at least) and rather envies it. 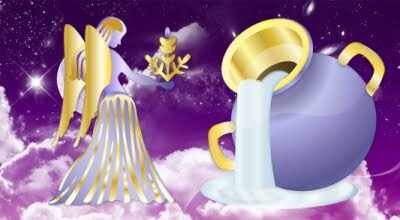 Virgo approves of Libra’s sense of justice and fairness – although the Virgins do have a traumatic time of it when they’re forced to be a captive audience to Libra’s see-saw, decision-making marathons of yes – no – and maybe so, because Virgo will find such undue deliberation a frustrating and unnecessary waste of perfectly good valuable time. There are certain to be occasions when Virgo will think Libra is lazy – which isn’t a bit fair of the Virgin, because Libra’s periods of lethargy never fail to be followed by bursts of truly impressive energy and enthusiasm. After all, a person has to rest sometime, when a person plays as hard and works as intensely as Libra always does, in rather equal parts, keeping it all balanced as much as humanly possible. But they will each highly admire and respect one another’s intelligence, for they were both blessed by a considerable number of brain cells in smooth and well-oiled working condition at birth. 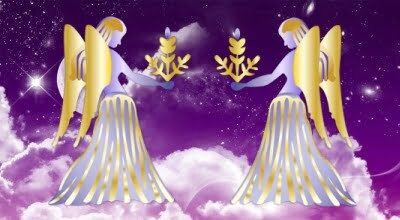 The fact of the matter is that the Virgo and Libra characteristics which are similar make it difficult to tell such traits apart at times. 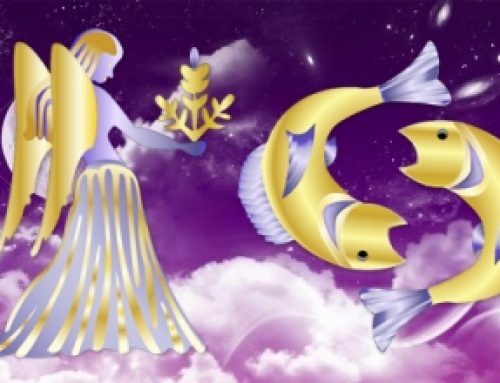 Only one example is the beautiful balance of Libra – and the orderly tendency of Virgo. 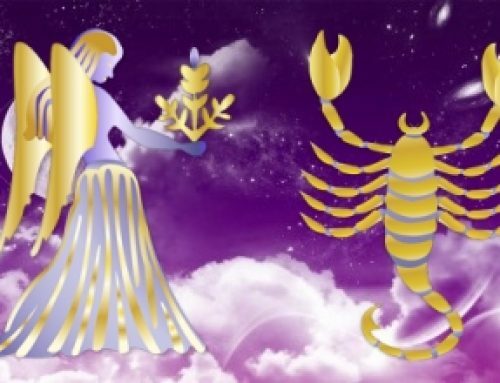 I have a Pisces friend whose horoscope I have perfectly rectified as having a Scorpio Ascendent, approximately one degree Scorpio “rising.” For years now, he has tried to persuade me that my rectification of his Ascendent is “off’ by a degree or two, and that he actually has a Libra Ascendent. He’s convinced this is so because of a particular obsession he has of checking his billfold as he crosses a busy street – and if the bills are not properly arranged in the correct order (ones, then fives, then tens, then twenties, and so on), he’ll stop right in the middle of traffic to rearrange them. He’s certain this is a Libra hangup. It is not. Admittedly, it might seem to be a Libra affliction, but it’s actually a Virgo syndrome. Since Virgo is nowhere near his Ascendent, why is he so freakish in this manner? Because Vulcan, the true ruler of Virgo (and a most powerful planet), will soon be discovered and identified (see Virgo-Virgo chapter), and is presently beaming controlled influences toward Earth. Undoubtedly, when my Pisces friend with the Scorpio Ascendent was born, Vulcan was conjunct his natal Sun in his birth chart. It’s a fine line to separate, but you can do it if you meditate on your Sun Sign lessons. Arranging bills in a wallet in the correct numerical order is clearly Virginian. A Libra Ascendent would create a different problem. Libra would stop in the middle of traffic because he (or she) suddenly couldn’t decide whether to continue crossing the street – or go back to the restaurant and have another piece of lemon-cream pie. A home or an office where Virgo and Libra blend their auras is usually graced with a happy and harmonious atmosphere, containing and combining Libra’s delicately muted pastel patterns of peace; Virgo’s silvery laugh and cool, clear eyes; Libra’s dimples and heavenly voice, a mist of sweetness, clouds of gentleness, Libra’s cologne or talc; Virgo’s Ivory Soap scent; beautiful paintings, sparkling-clean windows, soft music in the background, the tinkling sound of Libra’s ice cubes in a glass synchronized to the soothing rhythm of Virgo’s calculator … and a couple of stray tacks on the floor.